When some of the earliest Christians came together, Scripture records that "everyday day they committed themselves to meeting together in the temple complex, and broke bread from house to house. They ate their food with a joyful and humble attitude, praising God and having favor with all the people. And every day the Lord added to them those who were being saved" (Acts 2:46–47). As an application of their action, we want to come together regularly in the home of believers to encourage each other in the way of the Lord. Once a month, we want to committ to meeting together to discuss a biblical topic essential to training others in the way of the Lord. The evening is intended to be a pleaseant enviroment where we eat together, learn together, pray together, and enjoy being toether. Currently, we are learning about the marks of a healthy church and using Mark Dever's book, "The 9 Marks of a Healthy Church." January 12th we will watch the movie "American Gospel." The movie presents a thought provoking look at the way some churches have presented the gospel in America and the true gospel in Scripture. 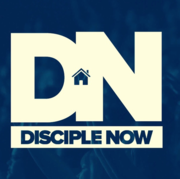 Disicple Now weekend is a life changing student ministry event. CentriKid is a children's camp in June. $60 Deposit is due February 1. CentriFuge is a youth camp in July. $60 Deposite due February 1.